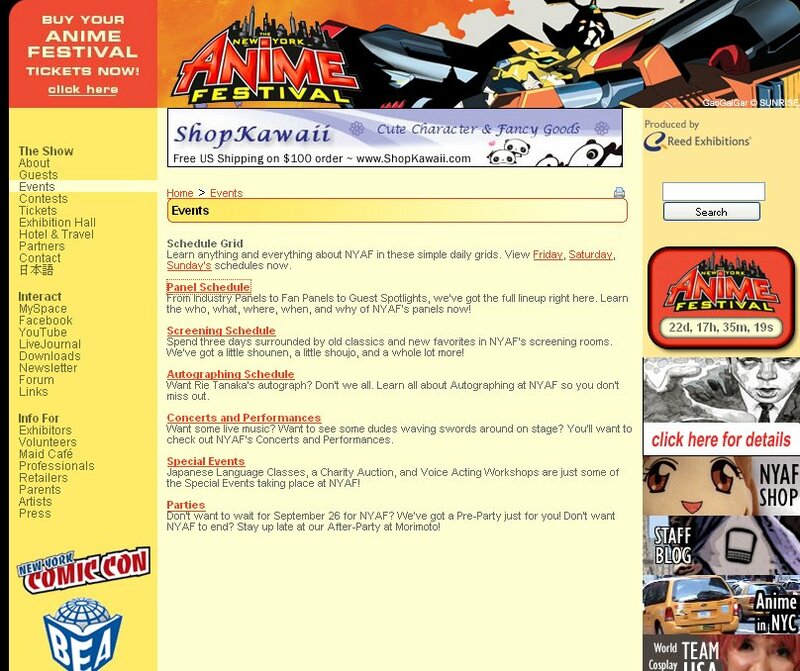 Looks like the schedule for the 2008 New York Anime Festival is up and running. 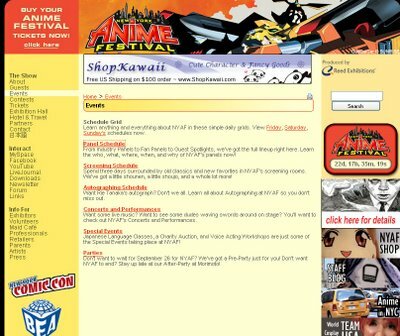 there are many events that Danielle will try to go to, in particular we will definitely will attend the Amano and the Hideyuki Kikuchi panels. I will most definitely be at Sunday's Voice Actor panel where the winner will become an anime voice actor!! It would be pretty amazing if I win that contest since being the English voice of an anime character would be a dream come true. Win or not, you can bet to see me there trying out...Danielle probably will shy away from it eventhough she once voiced Sango with Richard Cox at a panel ^^. We will also most likely be at the Gurren Lagen panel too so I'll hopefully try to wear something that will show who we are so any of you who will be there could maybe meet up with us. I will utilize my iPhone for live updates as well.